This A6 size folded card measures 4.5" x 6" folded (6" x 9" flat). It is available in any color of our Grow-a-Note® plantable seed paper or our Herb & Vegetable plantable paper. 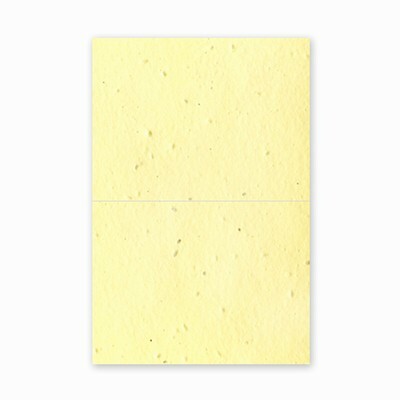 This blank card is beautiful as is or perfect for creating your own card designs! Available in a pack of 25. Cards ship flat and are scored for precise folding.